An exceptional and impressive laser manipulation show. Performers push the boundaries of reality. These "spinning" specialists, who counteract light beams, weave improbable canvases, shake up the laws of geometry and distort the 3 dimensions. 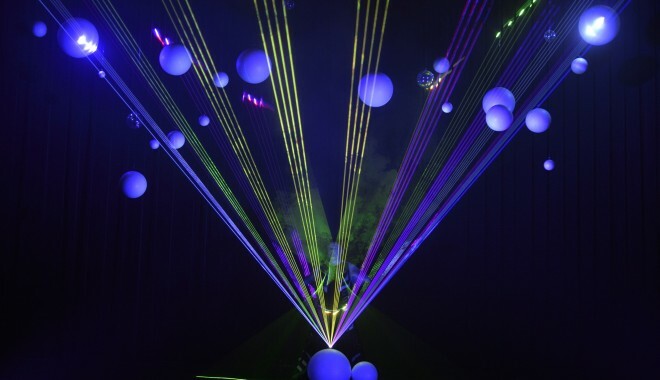 - The Color Laser used as a base for the set and epicenter of the show. - The Laser hands: a light beam perfectly manipulated by artists. 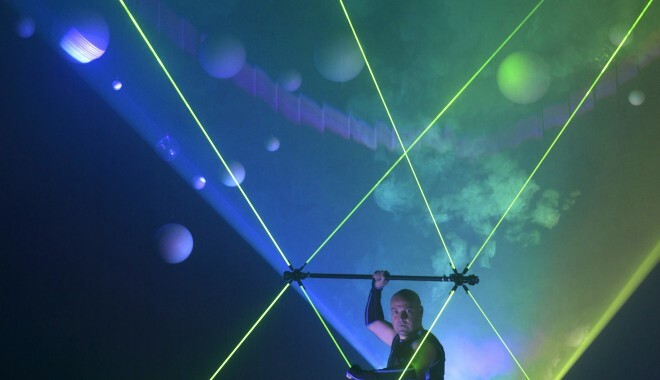 - The Dragon Staff Laser: a stick with 4 lasers at each end, creating suspended light mats. A particularly original, avant-garde and even futuristic Show, dynamic that combines the latest technologies, a millimetre-long staging and outstanding artistic performances. 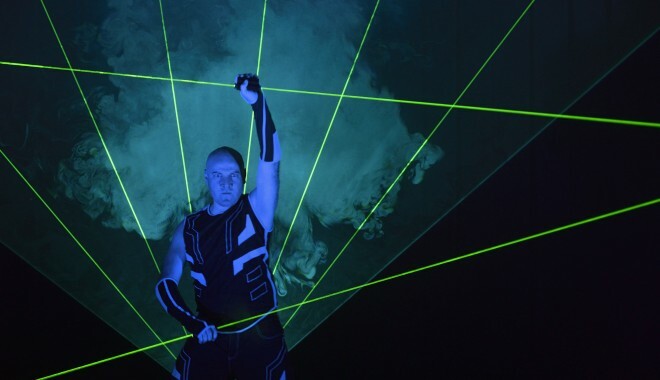 Tron Laser Show: 7mn show on stage or dedicated stage space.